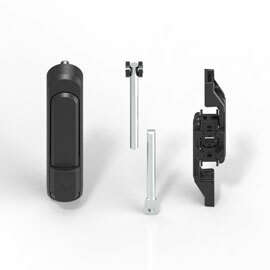 Efficient, safe, fast: With our new sash lock for fast assembly without tools we are able to meet the most stringent requirements in lock technology. 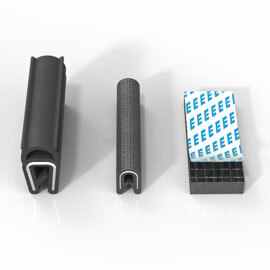 The 3-part system, consisting of the actuating module, tongue and insulating cap, can be assembled in just a few seconds – entirely without tools. 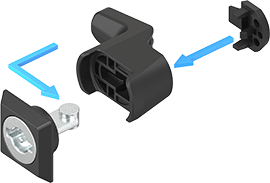 The individual components are inserted into each other with clip connections. 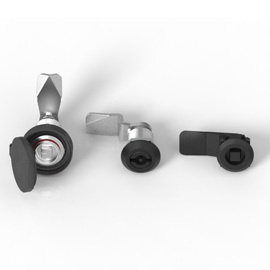 Compared to the customary standard products, users will benefit from a considerable time saving in assembly and low material costs. 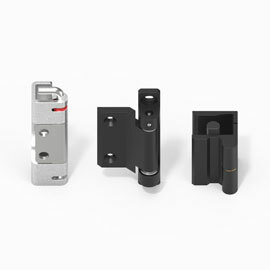 The products are suitable for door thicknesses of 1.0 to 3.0 mm. 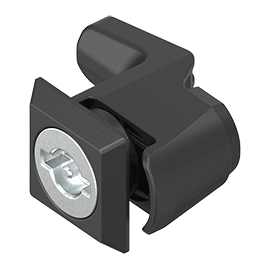 Moreover, the new locking solution provides a very high degree of sealing according to the specifications of the International Protection Class IP 69K, thereby preventing the penetration of foreign bodies and liquids.